Posted	 11:21 pm by	tonyfigoli	& filed under . Design sketches are our primary tool for illustrating our schematic ideas. 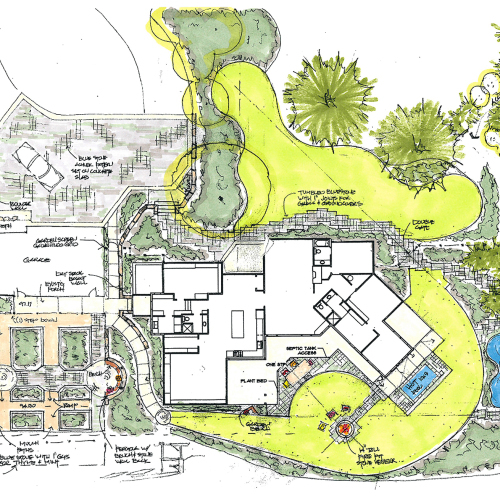 They help us show circulation, outdoor rooms, vegetation and existing site features in a colorful overview. These are scaled drawings that address the site program and use as well as depicting larger ideas like axes or radial geometry, views, responses to the architecture and the relationships between structures and landscape objects.